In 1991, Walt Disney Pictures graced movie screens across the globe with what would become one of their most beloved classics. In addition to grossing over $145 million in its initial release, Disney’s “Beauty and the Beast” made history by becoming the first full-length animated film to be nominated for the coveted Academy Award for Best Picture. Now, 26 years later, Disney has revived the classic animated film into a live-action musical spectacle of epic proportions. Director Bill Condon and screenwriters Stephen Chbosky and Evan Spiliotopoulos find ways to honor the original while at the same time allowing a few small differences to let this film stand on its own. Condon also sneaks in a few callbacks to classic musicals of the past; such as “The Sound of Music” and “Fiddler on the Roof”. The incredibly talented cast is led by Emma Watson as Belle, a headstrong young woman longing to find adventure in “the great wide somewhere”, as she puts it. Having already captured all of our hearts for over a decade as Hermione Granger in the Harry Potter films, Ms. Watson gives what may very well be the best performance of her career thus far. Her innocence and bravery coupled with her gorgeous singing voice bring a new light to the character that had me shedding a few tears during the screening I attended. Playing the titular Beast is Dan Stevens, who if you don’t know now, you certainly will after seeing this movie. Stevens gives us a new look into the inner torment of the character, having only really felt love for his mother as a young boy and upon losing her was raised to be a selfish brute much like his father. Stevens’ true moment comes in the form of the song “Evermore”, one of four new songs written for the film. When the Beast realizes he can’t force Belle to live with him or love him, he let’s her go, lamenting his true feelings for her in a ballad of never-ending passion. Also rounding out the colorful cast are a slew of trained theatre actors including Luke Evans as the self-absorbed villain Gaston, Josh Gad as his faithful though possibly redeemable sidekick LeFou, Ewan McGregor as everyone’s favorite candelabra Lumiere, Sir Ian McKellen as Cogsworth, Audra McDonald as Madame Guarderobe, Stanley Tucci as maestro Cadenza, and Emma Thompson as Mrs. Potts. 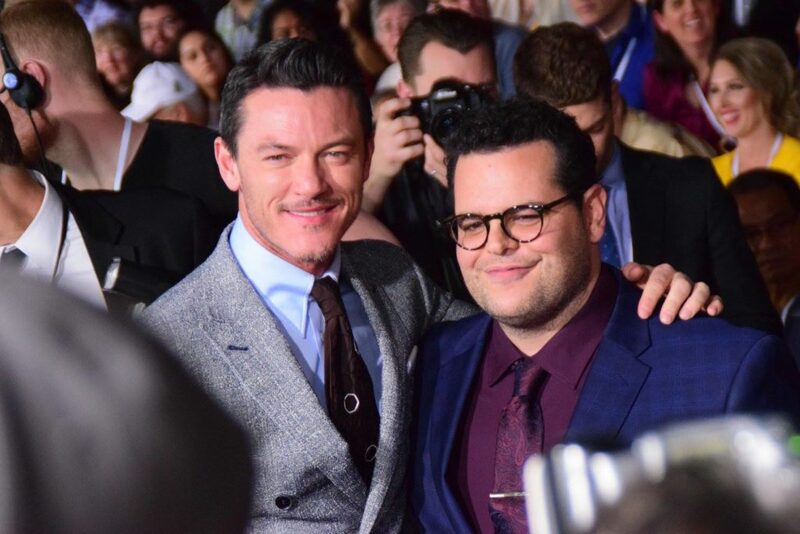 All of the cast members are great in voice, particularly Luke Evans as Gaston, singing the role in a high tenor range that differs from the original film’s baritone part for the character. Ewan McGregor is also a highlight, whose “Be Our Guest” number dazzles and delights as the many objects of the castle welcome Belle to dinner. All in all, with the new songs, added depth to each of the characters, and gorgeous cinematography and special effects, Beauty and the Beast proves that this tale as old as time is as relevant as ever. Check out more photos from the Beauty and the Beast premiere in Los Angeles.